In long range shooting, there are lots of factors that could turn a hit in to miss such as wind, temperature, humidity and so on. However, besides the environment, your rifle setup also has a considerable influence on your accuracy. 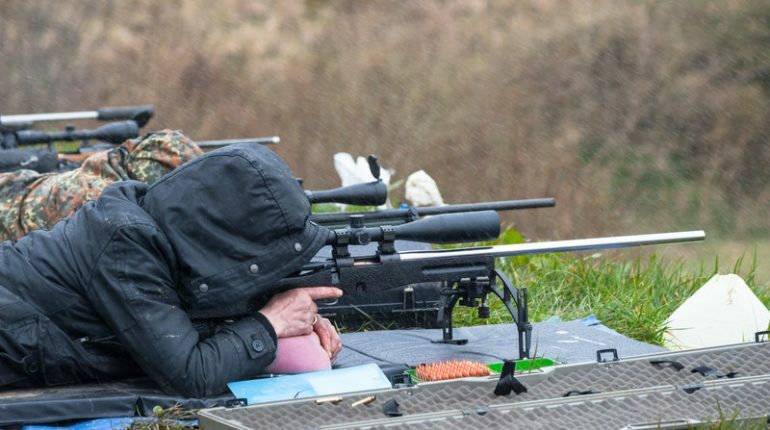 From hunting to competitive shooting, it’s hard to obtain good results if you don’t prepare your rifle properly. In order to achieve a reasonable level of precision, it’s necessary to equip your rifle with a quality scope. 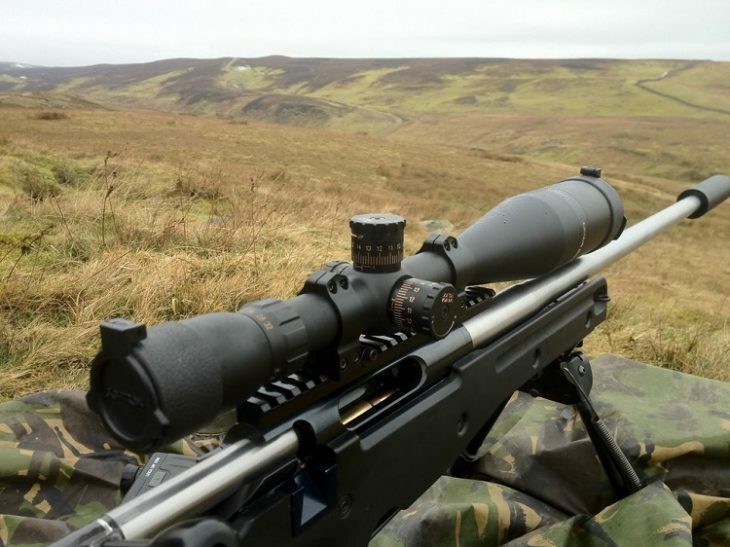 Only by using the best long range scope for the money could you hit your targets time and time again. That being said, with a wide variety of models and manufacturers, getting the best long range scope is not simple. In the usual case, a combination of personal tastes, shooting styles, rifle calibers and alike often complicate the selection process. If you happen to be confused by the number of market products available for purchase, this article shall prove useful. 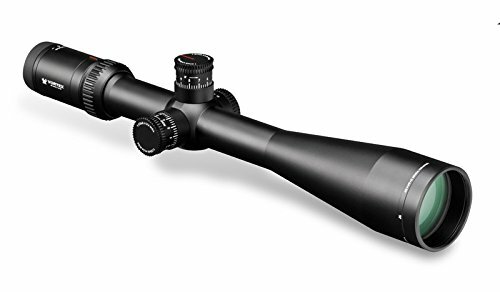 Right down below is a short list of highly rated long range rifle scopes along with their characteristics and reviews. In addition to that, you would be provided with a comprehensive shopping guide so you could make a wise purchase. Come with a reasonable price and user-friendly mechanisms, Riton RT-S Mod 5 is well liked by long range shooters that have a tight wallet. The scope uses high-grade aluminum for its housing and that make sure it could withstand any challenges associated with long-range shootings without fail. Since the Riton scope is also waterproof, shockproof and fogproof, you could shoot with precision in a multitude of terrain. Both ends of the scope have flip up caps which protect the lens when the scope is not in use. Featuring a side focus knob, Riton RT-S Mod 5 allows you to adjust the scope parallax as you see fit. For the windage/elevation adjustment turrets, the Riton scope chooses a 1/4 MOA audible click style which is robust and dependable. There is no need to use special tools to operate the capped turrets, all you need is your own fingertips. Because of the fast focus eyepiece, you could acquire and observe target without much difficulty. 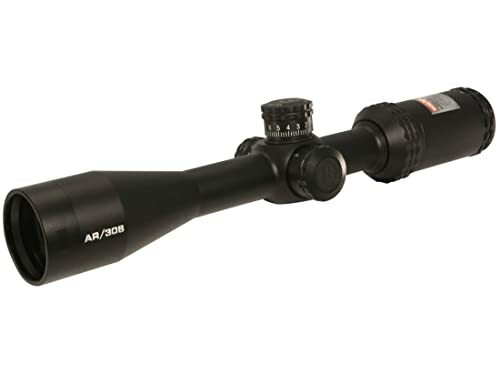 Tough, versatile and affordable, Bushnell AR Optics is widely considered to be an excellent rifle scope for budget-minded shooters. With a minimum magnification level of 4.5x and a maximum magnification level of 18x, the scope is well-suited for medium to long range shooting. Using fully multicoated lens, the scope provides shooters with high contrast target images which is useful in low light conditions. As the Bushnell scope utilizes a BDC style reticle designed for .308, this scope shall serve you well if your rifle is chambered in that caliber. In term of resistance, Bushnell AR Optics is O-ring sealed and nitrogen purged, therefore, it’s waterproof and fogproof. Couple with the rugged aluminum housing and hard anodized finish, the scope could handle a lot of abuse without falling. The scope windage and elevation turrets utilize an exposed setup so it’s easy to make changes at moment notice. Each click is equal to 1/4 MOA of correction which helps shooters set up the Bushnell rifle scope to their liking. There are some reports about zeros difficulty. Possessing features that commonly found on high-end models, Vortex Optics Viper HS-T offers good value for its cost. 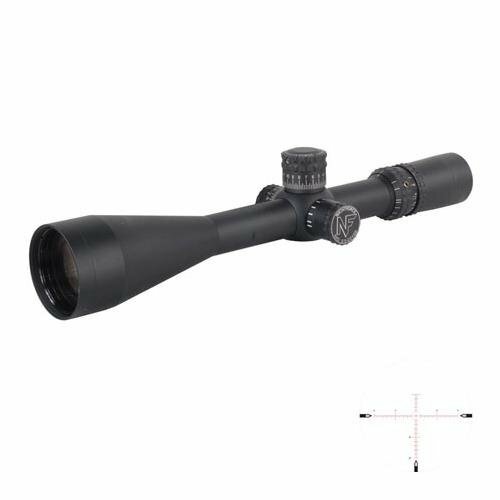 Built around a rugged one-piece aluminum tube that is O ring sealed and nitrogen purged, the scope could handle a wide range of situation. The incorporation of XR and Armortek coatings make sure that the scope lens could gather enough while remain well protected. From hunting to competitive shooting, the magnification power of the Vortex Optics rifle scope should be sufficient for most shooters. To help you make precise and timely adjustments, Vortex Optics Viper HS-T utilizes exposed technical -style turrets that you could adjust with your fingers. Due to the scope Zero Stop function, you are able to return the scope to zero after making temporary adjustments. In order to change the parallax setting of the Vortex Optics rifle scope, al you have to do is to rotate the side focus knob. All turrets are secured by a tough spring system, hence, you don’t have to worry about knocking them out of their position by mistake. With a G2 Designated Marksman Reticle and a 50-millimeter lens, Bushnell Elite Tactical is viewed by many to be the best budget long range scope. A combination of ultra wide band coating and multi-coated optic ensure that you could shoot in low light conditions. Combine with the Rain Guard technology and argon purging gas, the Bushnell rifle scope could function reliably in different environments. About the magnification power, Bushnell Elite Tactical permits you to choose between 6x and 24x. Therefore, you could engage targets between 100 yards and 1,000 yards which mean you have a lot of flexibility with this scope. By using the side focus knob of the scope, you should be able to eliminate potential parallax at long ranges. For the windage/elevation adjustment turrets, each click worth 0.1 milliradian so you could get quite precise with the scope setting. Offering excellent magnification power and advanced features, Nightforce Optics NXS would help you shoot acutely up to 1,000 yards and beyond. Thanks to the extra big objective lens, the scope provides you with a wide field of vision in many situations. You could easily observe the target as well as its immediate surroundings with the Nightforce Optics scope by your side. By being able to see the target background, it’s not hard for you to correctly determine windage and parallax. Because of the generous eye relief, the scope is compatible with most caliber in circulation. About the operation, Nightforce Optics NXS utilize convenient exposed turrets with tactical grips and markings. All thing considered, there are plenty of rooms for adjustment: You could turn the windage knob to 60 MOA and the elevation knob allow for 100 MOA. The presence of the zero stop ensures that without your knowledge, nothing can change the settings of the scope turrets. At a weight of around 3.3 pounds, the scope is comparatively light so it has negligible effects on your rifle balance. For most of the time, the lens of rifle scopes in general must be clear and unmarred to ensure that you receive crisp target images. While you are checking the quality of the lens, take a look at the lens coating as well and see what it has to offer. The coating of the lens would determine the light transmission rate so take some times to exam and evaluate it. In term of size, the ideal lens diameter ranges from around 40 millimeters up to 60 millimeters, depending on the shooter preferences. Needless to say, for long range shooting, you have to go for high power scope. It’s widely recommended that you use a variable power scope with a minimum magnification level of 4 – 6x and a maximum magnification level of 18 – 24x. Compared to fixed power scopes, variable power ones are more expensive and potentially less rugged because of the moving parts. Nonetheless, the versatility and flexibility offered by variable power scopes are considered to be superior to their fixed power counterparts. It’s worth mentioning that whether they are fixed or variable power, rifle scopes from reputable manufacturers usually perform well. Unless you want to end up with a nasty “scope eye”, you should make sure that the eye relief of your rifle scope is sufficient. The stronger the recoil, the more useful eye relief become. If you shoot with a benchrest, it’s strongly advised that you test the scope eye relief on a benchrest before making your final decision. In most of the case, eye relief of conventional scopes tends to fall between 3 and 4 inches but it could go above 20 inches in some models. In order to provide shooters with a high eye relief, a couple of scopes would sacrifice some field of vision. While you are supposed to treat the scope of your rifle with care, it’s a still good idea to stay away from fragile products. There is always a chance that you may accidentally drop or hit your scope, hence, you should get something durable. Besides toughness, you also need to pay special attention to how the scope performs when exposed to water and humidity. For people that regularly shoot in challenging weathers, it’s of utmost importance to use a waterproof and fogproof scope. About the reticle, with dozens of patterns available nowadays, you could simply choose whatever type that suits you the most. Generally speaking, there are 3 styles of reticle pattern you may run into: Duplex Reticle, Mil-dot Reticle and BDC Reticle. There is really no such thing as the perfect choice here, each reticle pattern has its own advantages and disadvantages. However, in long-range shooting, you should go after reticle patterns that could help you properly compensate for bullet drop. 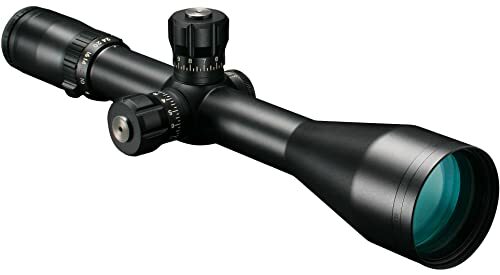 Entry level scopes are often set to be parallax free at a particular distance such as 100 yards and you could not adjust the parallax setting. In short range shooting, this is less than an issue for most of the time. However, to long-range shooters, fixed parallax setting is completely unacceptable which mean you have to select a model that possesses a parallax correction knob. The knob is also known as the “side focus” knob which you could usually find sitting right on the opposite of the scope windage turret. You should prepare to spend some money if you want to grab a high-quality scope for long range shooting. That being said, you don’t have to get the most expensive scope unless you have specific demands and requirements. 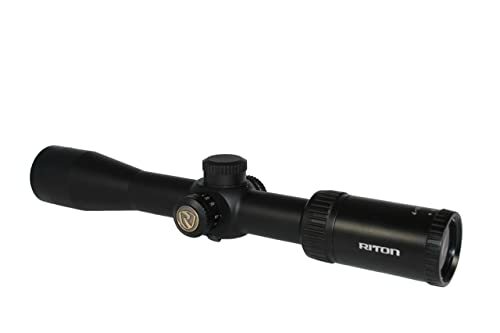 In the usual case, scopes that go above $1,000 are considered to be upper – tier models. On the other hand, budget scopes consist of models with a price tag between $500 and $1,000. Pretty much all average shooters would do well while using a scope at the $750 range. Only serious, highly skilled shooters need to check out $2,000 – $3,000 scopes. In FFP scopes, the size of the reticle increase and decrease as you change the magnification level which keeps the milradian measurements/BDC markings accurate. FFP scopes best suited for long range shooting because there are no need to set them at low magnification levels. In contrast, the reticle of SFP scopes would stay at the same size as you cycle through the magnification levels. Compared to FFP scopes, SFP scopes provide shooters with a consistent and clear sight picture. However, all SFP scopes that utilize BDC and mil-dot style reticle could only be used to their maximum potential at the highest magnification level. Hope that with this long range scope review, you could find out your best long range tactical scope.